Make Abingdon your hub as you explore the back roads of Southwest Virginia. The peaceful roads of Southwest Virginia are filled with breathtaking scenery and unique small towns. The winding roads are great for scenic drives by automobile or motorcycle. Along the way, you'll see unspoiled mountain scenery and occasionally pass through charming towns where the Appalachian culture is alive and well. Enjoy delicious food, meet artisans and learn about the region's history including the fascinating story of the Wilderness Road Heritage Migration Route followed by pioneers who traveled through the Cumberland Gap to eventually settle the rest of the American frontier. The rivers and forests are teeming with fish and wildlife while the towns are filled with music. Southwest Virginia is the birthplace of traditional mountain music. 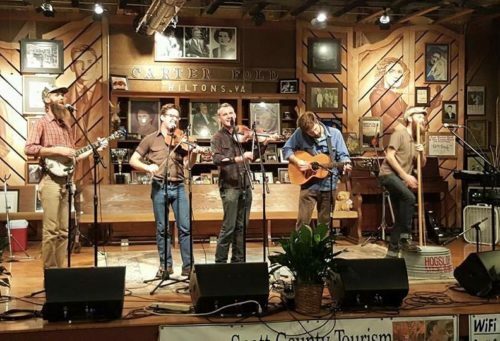 The Carter Family Fold and dozens of other sites can be found along The Crooked Road: Virginia's Heritage Music Trail. There is much to discover in Southwest Virginia and Abingdon is the ideal hub for your journey. Enjoy exploring the back roads and small towns, and then return to great accommodations and lots of dining options in downtown Abingdon. Visit MySWVA.org to hear about some of Southwest Virginia's best-kept secrets. Nearby Bristol TN/VA is a unique community that straddles the states of Tennessee and Virginia. Here you'll find the Bristol Motor Speedway, as well as the Birthplace of Country Music Museum, dedicated to promoting and preserving the musical heritage of the Southern Appalachians.